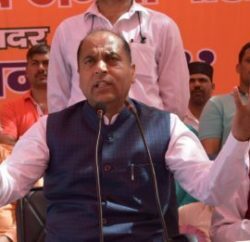 Chopal/Nerwa: Chief Minister Jai Ram Thakur promised to develop the picturesque Chopal region of the Shimla district from tourism point of view. 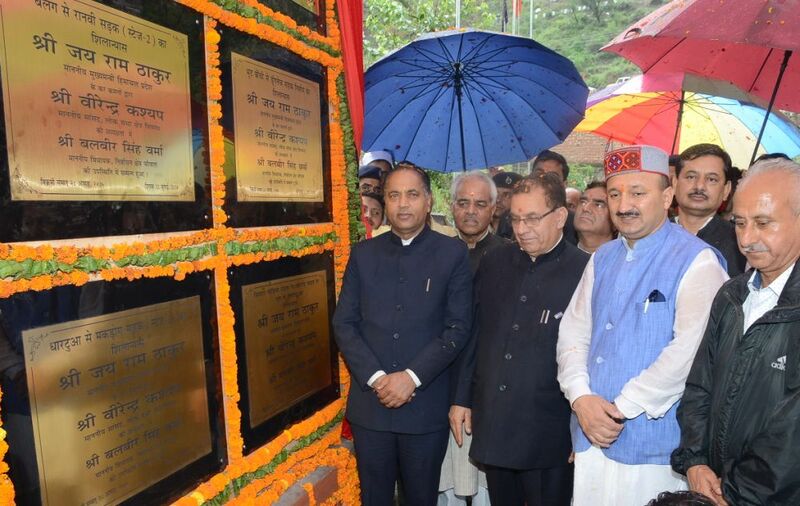 Chief Minister during his maiden visit to Chopal assembly segment, assured to give due importance in terms of development to Chopal segment and also announced to get tourism projects from the government of India for this area. The Chief Minister said the State government had committed itself towards the welfare and development of the State and during a period of last six months, he had visited 49 Vidhan Sabha areas. He said that for development of tourism, the Union government has sanctioned Rs. 1900 crore for the State. For the first time, the State government has made a provision of Rs. 50 crore for development of tourism sector. The Chief Minister announced Rs 1.25 crore for Degree College Chopal, starting of three new trades in ITI Chopal, enhancing the bed capacity of civil hospital Chopal from 50 to 100 beds and also announced that Mukhaya Mantri Adarsh School would be opened in Chopal. He inaugurated SDPO building at Chopal, PHC (level-I) building at Sarain, construction of Kiartu Nallah to Kafrona Bomta road and Science Lab building for Government Senior Secondary School, Chopal constructed at a cost of Rs. 62.30 lakh, Rs. 48 lakh, Rs146 lakh and Rs. 103 lakh respectively. He laid foundation stone of Rs. 10 crore widening and strengthening of Sainj Chopal, Nerwa Fedaj road under CRF, construction of livelihood Centre with production centre at Chopal to be constructed at a cost of Rs. 529 lakh, mettalling and tarring on Reuni (Sajnalla) to Khagna road to be completed at a cost of Rs 6.45 crore, mettalling and tarring on Maraog to Dasholi road to be completed at a cost of Rs. 3.49 crore, laid foundation stone of 19 meter span RCC T-beam bridge over Lohana khad on Marog-Matal road to be completed by spending Rs. 195.30 lakh, mettaling and tarring on Kelvi to Lohana road with a cost of Rs. 70 lakh, building of Senior Secondary School with Science Lab at Sarain to be constructed at a cost of Rs. 408.39 lakh and building of Senior Secondary School at Dhabas to be constructed at a cost of Rs 120.19 lakh. Jair Ram Thakur, while addressing public at the Nerwa, said the State Government was working with a sole motto of “Sabka Saath Sabka Vikas” for ensuring development of every area of the State and welfare of every section of the society. The Chief Minister announced upgradation of Primary School Kanavdi to Middle School, to provide Rs. 20 lakh for PHC Gumma, Rs. 91 lakh for lift water supply scheme Nerwa, upgradation of Middle School Kawala to High school, upgradation of Veterinary Dispensary Throach to Veterinary Hospital and enhancing the bed capacity from 50 to 75 beds in Civil hospital Nerwa. He announced to construct helipad at Shawala, Rs. 50 lakh for building of HRTC Depot Nerwa, parking and street lights in Nerwa bazaar besides Gas agency at Nerwa. Earlier, he inaugurated Ranvi to Chilla road constructed at a cost of Rs. 178.72 lakh and building of Government Senior Secondary School Jhikinipul. He also formally started mettalling and tarring on Neoty to Lakhawati road, mettalling and tarring of Dhartua to Makrog road and mettalling and tarring of Kiri to Kharachali road to be completed at a cost of Rs. 194.84 lakh, Rs498.82 lakh and Rs 397.72 lakh respectively. He laid foundation stones of upgradation work of Belag to Ranvi road to be done at a cost of Rs. 603.10 lakh, Kanhal to Bajathal road and construction of 30 meter span RCC box girder bridge over Mashrain khad on Thiara to Pauria road to be constructed at a cost of Rs. 509.75 lakh and Rs 248.19 lakh lakh respectively and buildings of Senior Secondary Schools, Bharan and Mashrah. The Chief Minister laid foundation stone of 22 KV electric Sub Station Control Centre at Nerwa to be constructed at a cost of Rs. 1.62 crore which would provide better power supply in 19 panchayats of Nerwa Tehsil thereby benefiting over 46,000 people. He also laid foundation stone of Bhoot Kainchi to Dunglech road to be constructed at a cost of Rs 88.90lakh. MLA Chopal Balbir Verma said that the area remained neglected in matter of development for over 27 years. He said that long drought in matter of development has come to an end with the benevolence of the Chief Minister. 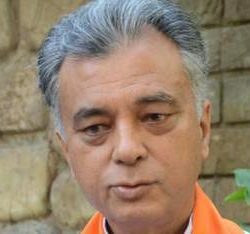 He said that out of 64 panchayats in his constituency, 46 panchayats have been connected with road under PMGSY, which was an ambitious scheme envisage by former Prime Minister Atal Behari Vajpayee.